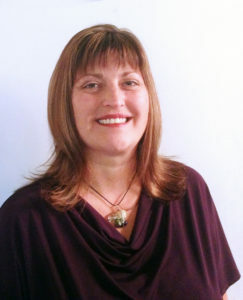 Joy Behymer is the owner and operator of Massage Essentials in Bristol, Virginia. A native of Abingdon, she has worked as a massage therapist in collaboration with other holistic health practitioners for more than 10 years. Prior to that, she worked for 10 years as a registered nurse in the emergency room and on hospital floors serving surgery, dialysis, orthopedics, chemotherapy, and critical care patients. Dedicated to inspiring others to live more joyfully each day, Joy sees her purpose in life as providing the guidance, support, and tools her clients need to make joyful living a reality right away. Toward that end, she also provides vitamin/wellness consultations via NutraMetrix at www.thejoyofbetterhealth.com and access to discounted and/or cashback merchandise via Shop.com at www.myjoyofshopping.com. Joy lives with her husband Richard, her daughter Daelyn, and her five rescue pets (three cats and two dogs). An impassioned lover of the outdoors, she can usually be found soaking up sunlight on her deck or in her backyard.